When used with the Easy Press Pen, these reusable nibs glide effortlessly across all fabrics! 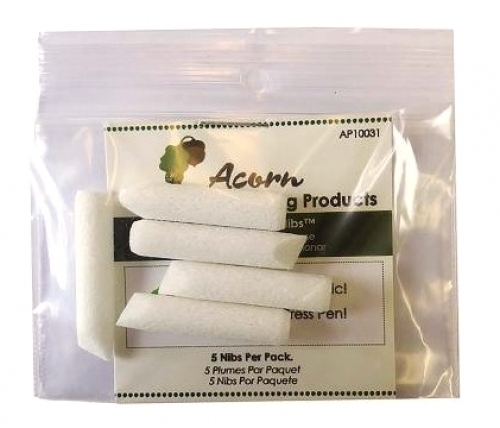 These highly absorbent nibs soak up the Easy Press Solution and glide gently and easily across fabric, creating precise lines without causing any friction. Use in conjunction with the Easy Press Pen. (item - 4113EP) Easily absorbs the Easy Press Solution (item - 3909EP). Reusable (saving the user time, money and waste!) Easy quilting and applique.